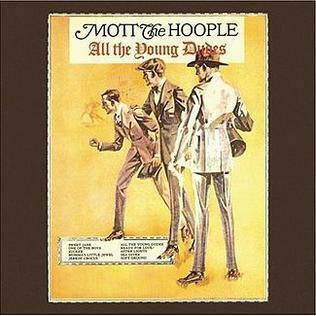 One of the first rock songs I ever heard was Roll Away the Stone by Mott the Hoople. Our old back garden was in ear shot of a youth club and this song just stuck in my head. When I was about 25 I heard this track again and I was transported back, epiphany like to that back garden in the summer of 74. I do like a bit of Mott (sorry I couldn’t resist that). I think they are one of that rare breed of bands that defy real classification, most people stick them in the Glam category, but they had much more going for them. Standout track; All the Young Dudes of course, imagine writing a song like that and then giving it away! Many Prog Rock bands were Prog Rock by accident, Pink Floyd and Hawkwind fall into this category. However Van der Graaf Generator were definitely Prog Rock on purpose, I am pretty sure Peter Hammill sat up most nights with the Prog Rock Manifesto ticking boxes and making lists. It is a great album with an absolute golden moment of Prog pomposity, A Plague of Lighthouse Keepers. I just realised this tonight but you have to be pretty posh to be a proper Prog vocalist, I wonder if this is in the Manifesto, even the Durham pit village lad, Bryan Ferry pretended to be Posh. An aside; I had never before considered the obvious psychological effects of shipwrecks on a lighthouse keeper, thank you Mr Hammill for bring this to light.